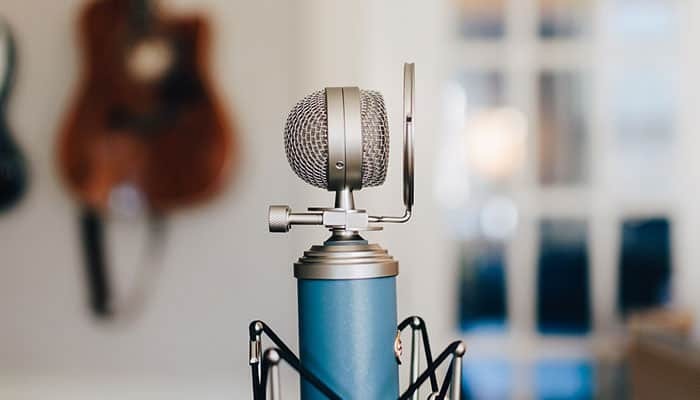 If you have ever picked up a music instrument and decided to convert your practice sessions into recording sessions to aid your career, you might have thought many times about purchasing the best dynamic microphone. The problem is, there are so many skilled artists out there that many end up recommending products that are some of the best, but also vary greatly from each other. What is the Greatest Dynamic Mic for Podcasting & Recording Vocals in 2019 ? 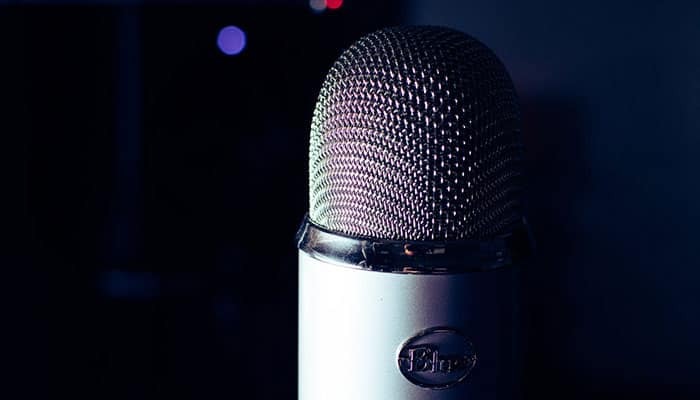 Can You Use A Dynamic Mic For Podcasting? Do you need Phantom Power for a Dynamic Mic? A dynamic microphone is used for all-purpose recordings; from percussive snare drums and cymbals to vocals and guitar amplifiers. 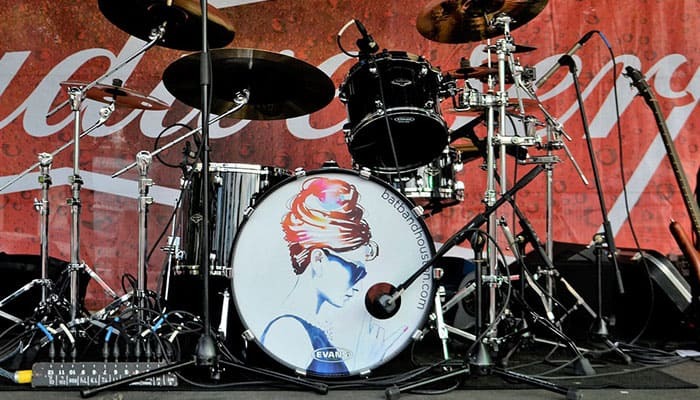 For our top 10 review on the top mics for drums click here. Dynamic Mics are the perfect incarnation of an investment- even if you will want to switch between your instruments during the sessions you won’t need to buy a new microphone that is specific just to the one. 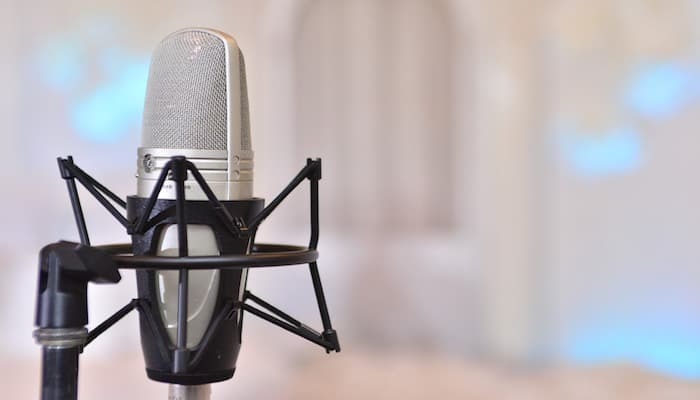 The versatile use of the dynamic microphone makes it one of the best, most sought after products on the market, and there are many brands to choose from. if you're looking for a more transportable mic, see our review on the top ribbon microphones. 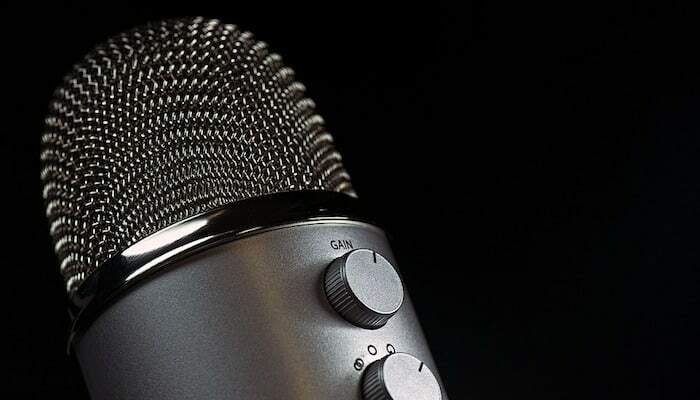 We have a couple of helpful reviews and FAQ’s that should help you in your search for the greatest mic that should perform best with the your type of gear. You might want to grab a microphone pop filter here. Audio Technica’s dynamic microphone is a one of the finest starting products for anyone that is purchasing their first ever microphone and needs a good starting point. 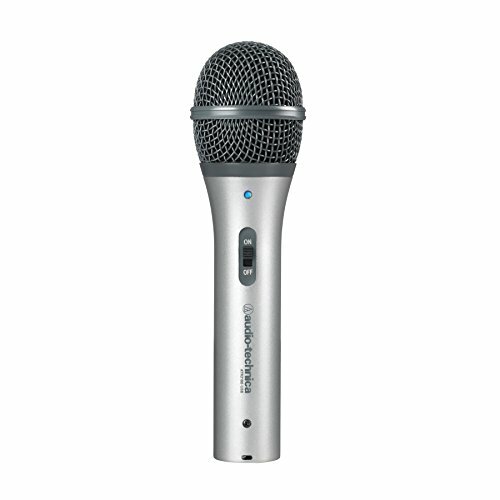 The ATR2100 is a handheld mic with a digital USB output to help you connect to your computer and do digital recordings. It also includes the ΧLR output that connects with the conventional mic input that you can plug it into during live performances. The smooth frequency that this product produces is best for recording band instruments, vocals and even podcasting. The two various outputs makes it ideal for not only indoor but outdoor use too, which is a great addition for anyone who is trying to broaden their horizons music-wise. The ATR2100 also has an already built in headphone jack, which is great for when you want to check the microphone output and be kept free from any delays. The cardioid pattern that is manufactured in Audio-Technicas mics will help to reduce any unwanted sounds from the front and back that could cripple your output or recordings. If you are looking for a mic that can filter out dozens of unwanted sounds and without a problem capture your own output, the ATR2100 is one of the best specialized mics in that area. It also comes with a stand that will have no problem holding up the weight of the mic itself. Why We Liked It - Audio Technica has created a mic that is perfect for anyone that wants to record or perform live either indoor or outdoors and is one of the best investments out there. The smooth output and crisp sound is praised relentlessly by the customers and it’s guaranteed that if you end up going with the ATR2100, you will be glad you did! 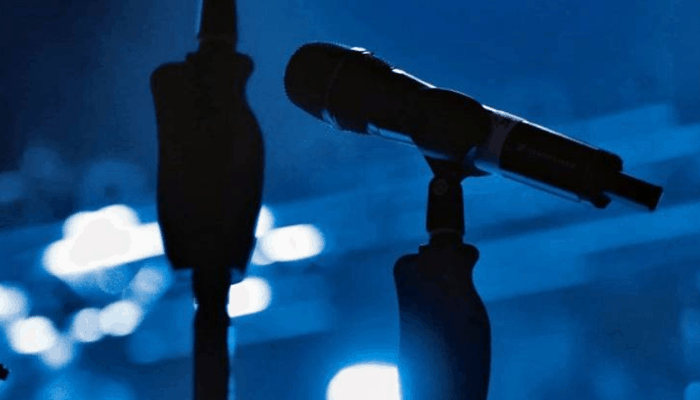 Shure is a company that is specialized in making some of the best mics, and their products are most often used by only the best of professionals. That also means that their price leans more to the expensive side of the pocket; regardless, if you have the extra buck and you want a mic that will last you for years to come and supply you with HD sound, read on! The SM7B is known for having a flat frequency that provides you with particularly crisp and clean output that will give you no delay during your practice and recording sessions. It will reproduce your vocals and instruments exactly as they are and you will not have to put any worry into the mic skewing or distorting the original sound you produce. Whether you will be singing or rocking it out on your guitar, this microphone will capture the sound flawlessly to help you best represent the music you produce in only the best of lights. Shure has also made an effort to improve the rejection of the electromagnetic hum that was present in some of their previous mics, but not this one! You will be shielded from all of the interference s that could be caused by the devices sitting around you; like phones, monitors and the alike. Why We Liked It - Harboring a place in the Top 10 list on Amazon, Shure has given the market a truly wonderful mics that will be sure to only capture the crisp sound of your voice and instruments without any disturbances interfering from other electronic devices or off-axis sounds. The detachable windscreen will also help to reduce any plosives that may come as a result of singing or talking- one thing is sure, Shure provides you with only the best quality products! Pyle-Pro is a handheld dynamic microphone that will be ideal for anyone that needs a quick and inexpensive mic that will also have a good sound at a low price. This dynamic mic also has the popular cardioid pattern hat helps reject any off-axis sounds that could interact with the mic and distort the clean sound of the preferred singular no-disturbance recording. It will keep the background noise to a minimum and keep both your vocals and instruments at a clear and crisp frequency. It also has a good resistance to moisture and packs a punch with its sound; the robust design will make sure it won’t be breaking on you any time soon and proves to be the best mic travel companion. This mic is ideal for live performances and recording amplified instruments. 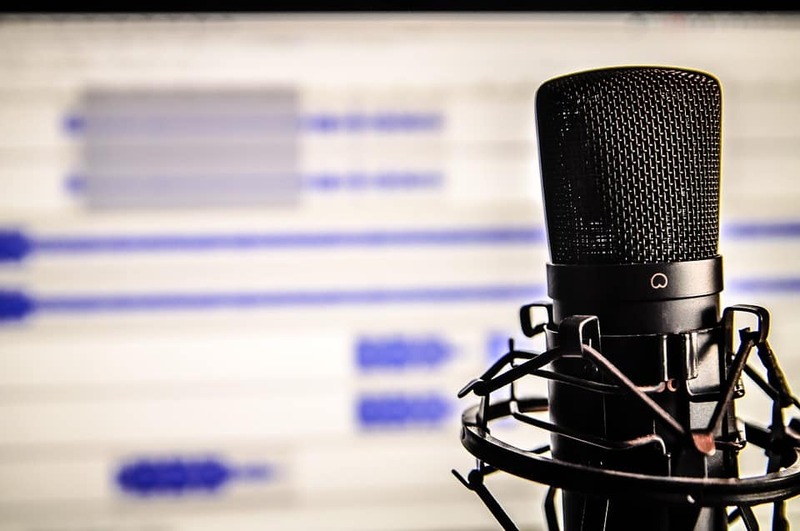 The Pyle-Pro mic also has made it their goal to integrate a windscreen and pop filter within the mic to keep all the input clear and crisp before being reproduced. A feature most other mics would surely benefit from using too thanks to the convenience of having an already built-in feature that otherwise may cause a lot of fussing. Why We Liked It - The Pyle-Pro dynamic mic offers many distinct features that other, more expensive mics seem to miss. Like the integrated windscreen and pop filter, or a cable that comes with the set. This dynamic microphone is one of the better purchases you could make, not only for the attractive price but for all of the functions that it has to offer. Having a place in the Top 10 on Amazon’s microphone list, it’s easy to see why many people turn to buying this mic! Behringer is one of those brands that can appeal to everyone, their products have the best of all mic worlds. The XM8500 has some of the best sound ranges out there and it can capture the essence of your instrument and vocals with little to no effort; you won’t have to worry about any delay or interference from other unwanted sounds, either. The price is phenomenal for those who are currently on a tight-budget and still want to experience the perks of having a good, quality mic that can record and output sound faithfully. It’s one of the best picks when it comes to good investments. This Behringer is praised extensively for offering more for less. The low price can sometimes be deceiving and offer bad quality products, but in this case that statement couldn’t be further from the truth. If you are looking to just start out recording and taking part in live performances, you would do well to try this piece of equipment to accompany you. It’s one of the best purchases you could make if you are looking for a long-term mic companion. If you can’t spend 500$ on a mic and still want a product that will faithfully reproduce all the sounds that you play, this dynamic mic is an offer begging to be bought. During sales you can get this mic for as low as 10$, the original price being 30$. You will no doubt inspire all your bandmates to get the same model when you show off what tricks it can do! 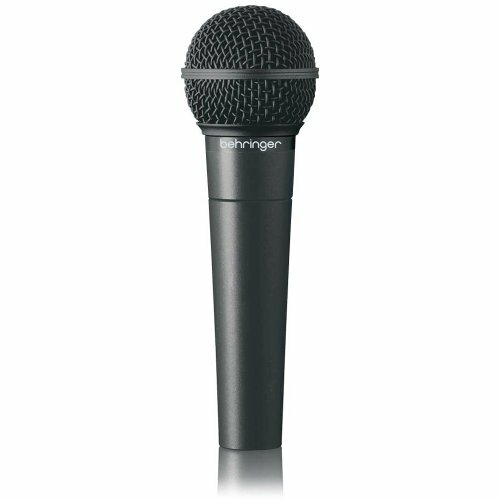 Why We Liked It - Behringer has shown the market that even cheaper microphones have a lot to show for them. This product has the second place in the dynamic mic category on Amazon and it’s easy to see why. You go in thinking you will only get a cheap, average sounding mic, but are surprised with a dynamic mic whose sound is comparable to mics two times the price! You will not be disappointed with Behringer’s product, it’s one of the best deals out there. 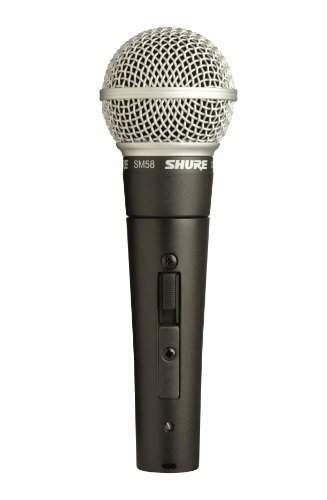 Another one of Shure’s products has easily made its way to out list again; this mic is great if you are looking for something that is average priced and packs a punch. 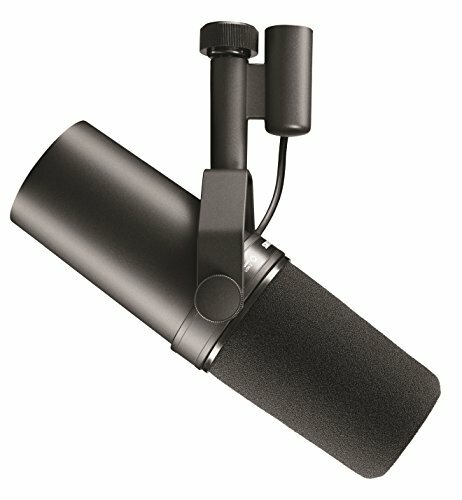 Pricing in at 50$, this mic is right between being overly expensive and underpriced, providing a great alternate choice if you don’t want to go for something too inexpensive, but nothing too overpriced, either. It has been specifically tailored to have an extended and smooth frequency to provide you with only the best sound reproductions that you can get. The cardioid pattern is designed to only pick up sound that is coming from the front of the mic and lets through only the minimal sound from the sides and eliminates all background noise effectively. The dynamic cartridge handles even the most aggressive kinds of high volumes without any skewed noises, lags or distortion, marking it as one of the best, sturdiest mics out there. No matter if you are playing high E notes on your guitar solos or a melancholy ballad with deepened G sounds, this mic will pick up all of these sounds and reproduce them faithfully. It can also take a bit of beating and falls if you end up having a few accidents with it, you can be sure it won’t stop working! 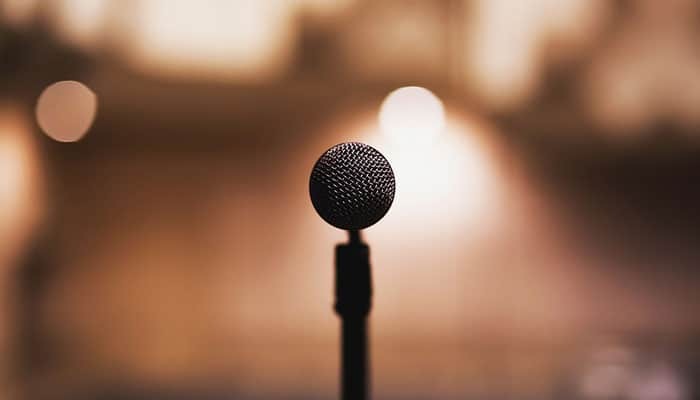 Why We Liked It - Shure’s dynamic microphone is the best choice for anyone that is looking to expand their recording horizons or improve the sound produced during live shows. This mic is the perfect price within which you get both the quality sounds and solid construction that will keep this mic held together through all of the practice and live sessions you put it through! AKG is one of the most popular brands in the music market, and not only because of the dynamic microphones they sell. They are also responsible some of the best headphones and all types of microphones for all kinds of occasions. If you will end up choosing this dynamic mic to represent the sounds of the rest of your gear, you can be sure you will only be getting best quality content for a fair price. The AKG D5 has a durable and solid construction that ensures this mic won’t break when you accidentally knock it to the ground or have it slide off the counter. Since accidents happen very often and mostly in an unpredictable manner, AKG has made sure to keep their product safe from that. The cardioid polar pattern has also been introduced to this AKG mic to encourage a high-gain before feedback. It’s mostly tailored to capture the high frequency sounds of guitars or female vocals and shine best when used in such environments. Male vocals and percussive instruments may sound a bit muddy with this particular model. AKG has the best balance of clarity, feedback, warmth and power. There is a wide dynamic range and you can be sure that you will find a good traveling companion within this AKG microphone. Why We Liked It - AKG has proven to have dominated a lot of the music gear categories, and this dynamic mic is no exception. It has a warm, clear and powerful response to most of the sounds you will expose it to and the feedback is crisp and smooth, no distortion to be heard. If you are looking for a dynamic microphone that has a powerful response from one of the best brands on the market, the AKG D5 is your choice! 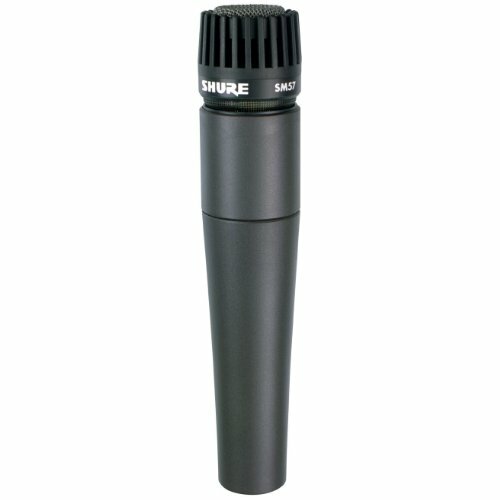 Shure not only provides the market with singular, powerful microphones but with bundles, too. If you are a beginner in the recording or live performance world, or if you just need some new mic gear and don’t want to spend hours fiddling and trying to find suitable cables that accompany the specific microphone as well as a durable stand and the alike, you will be happy to hear that Shure has provided you with an option to purchase all of the aforementioned products in one single bundle- saving you time in a fuss free combination of suitable products. The bundle can offer you a series of options and you can pick and match between the ones that suit you best. The options include:a full microphone bundle, a stand, cable and windscreen bundle, a bundle without a cable, or a bundle with a XLR to USB adapter. Whatever you will need, you will be able to choose the suitable bundle just for you and you won’t have to be committed to any extra product you won’t need or already have. Why We Liked It - Thanks to the bundle format that Shure provides us with, there will be no need for beginners to worry if they chose the right accessories and if they will even work with the specific dynamic mic. This is one of the best deals that you can get and it comes with all the parts you need to start recording or performing live, and you can be sure that you will have this mic for a long time thanks to it’s resistance to heavy wear and tear! Just like Shure, Sennheiser has proven to be one of the best in the music industry not only because of the dynamic microphones they produce, but also thanks to the quality headphones the put out. You can rest assured that if you will choose to go with this dynamic mic by Sennheiser, you will be supplied with one of the best quality mics for years to come. Being on the market since 2005, this is a tried and tested product that has undoubtedly stood the test of time and is still widely purchased thanks to how well it has held up over the years. Sennheiser has proven to have a dynamic mic that will provide you with all the suitable features it should have. The cardioid pattern will pick up all the necessary sounds from any instrument or vocal that will stand directly in front and reject any useless background noise that could be lingering in the studio or on stage. 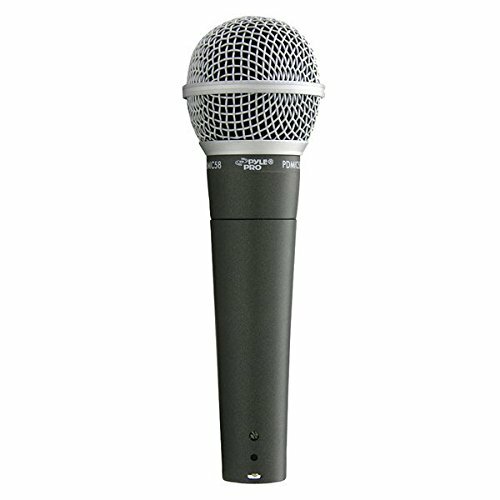 This E835 is a microphone that packs a powerful presence boost when you plug it in and will surely dominate over all the other microphones in the studio or on stage if you won’t adjust it! Why We Liked It - Sennheiser’s dynamic mic is the best investment you can ask for; especially if you consider the fact that some of the customers report that these work for over 10 years! If you are ready to make a good investment and have some good memories and powerful performances, this dynamic mic will supply you with all of that! Another one of Shure’s products makes it on our list, this time with the option to choose whether you would prefer to have it with an on/off switch or without, whether you’d like the cable to be included and whether you’d like the XLR to USB adapter to be present with your order. Much like the previous dynamic microphone bundle we had from Shure, you don’t have to worry that you will be missing out on any of the vital accessories needed to start your first recording or live performance. You can only choose the accessories that best fit you. This dynamic microphone has a brightened and improved midrange and bass roll off to increase the control and accuracy of your voice as you sing, or your instrument as you play, depending how close you will be to the mic. The cardioid isolates the main source of sound, whether those are your vocals or any other instrument, you can be sure that it won’t be interrupted by any background noise that could interfere with the recording or performance. There is also a built in wind and pop filter around the spherical head to make sure you won’t get any clicking or pop sounds during your performances and only reproduce the best, clearest sounds. 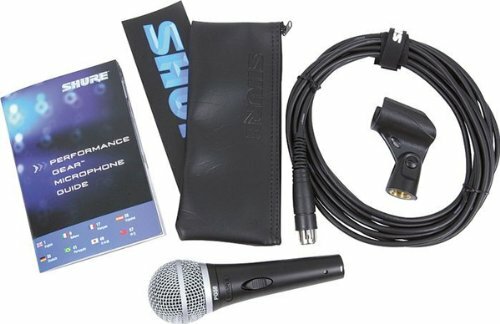 Why We Liked It - Shure is the best choice if you are looking for a bundle to get you started from the minute your dynamic mic arrives. The sound output has no delay and is smooth and clear, both in closed and outdoor spaces. The built in wind and pop filter will save you the trouble of buying separate products. All in all, this is one of the best investments you could get when it comes to choosing a dynamic microphone! MXL is a brand that rivals all the big bosses in the industry, and it has many reasons as to why it produces some of the best and most sought after dynamic mics. This mic will give you a bright and warm sound that will eliminate all the raw background noises almost instantly. It will focus on only the main source of sound and ignore and bounce back anything that isn’t coming from the front. The side noises will be repelled and any distortion or skewed sounds will be kept at bay. If you play in a noisy room or garage, this mic is perfect to isolate you among the others. This dynamic mic has been made to reproduce isolated sounds that are placed in close proximity, hence it’s not very good at recording people standing far away, perhaps a choir. Nevertheless, it is a very accurate piece of equipment that will reproduce both all of the bass and high sounds faithfully without adding any unwanted noises to the equation. MXL also makes sure that their dynamic mic settles into its new home the best it can and they include both a case and foam for the mic with the package. Why We Liked It - MXL goes all out to impress customers with one of their best rated dynamic microphones, the BCD-1. It comes with a case and foam to help you care for your new mic and keep it safe from any accidents that could happen. 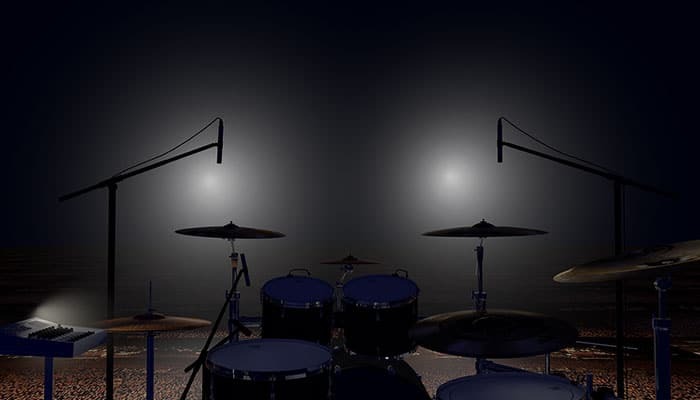 The side rejection and limited background noise make the isolation of the main sound source shine through. If you are looking for a good dynamic mic, MXL is a fantastic pick! A dynamic microphone is most often used to record vocals and sounds that come from amplifiers. 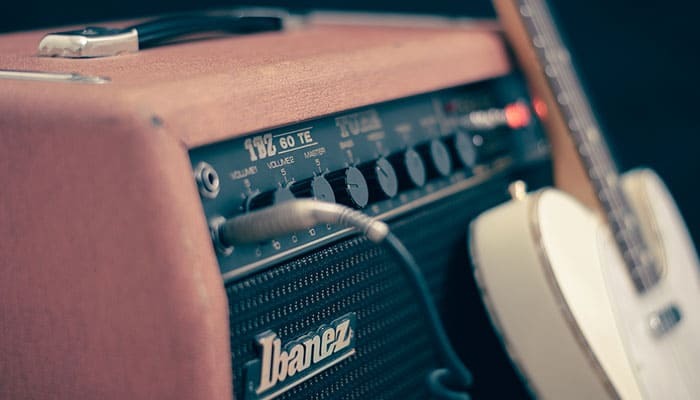 They are most often the preferred mic for recording higher volume sounds and even percussive instruments; they work well with capturing sound like those of guitars, snare drums or vocals. A dynamic mic usually lasts an incredibly long time since there are virtually no parts to break and nothing that could really act up. This is one of the reasons these mics are able to withstand all kinds of accidents! These kinds of mics usually need you to be in close proximity and isolate all background noises and are not overly sensitive. A condenser microphone is way more sensitive than the dynamic microphone and its frequency response is much, much greater. This means that it can very quickly reproduce the sounds made by either the instrument or vocals, the response in a dynamic mic isn’t nearly as fast. A condenser mic can usually be found in studios. They are fantastic for the immediate response they provide, but that means they are also way more sensitive to loud sounds- something a dynamic mic can cancel out. 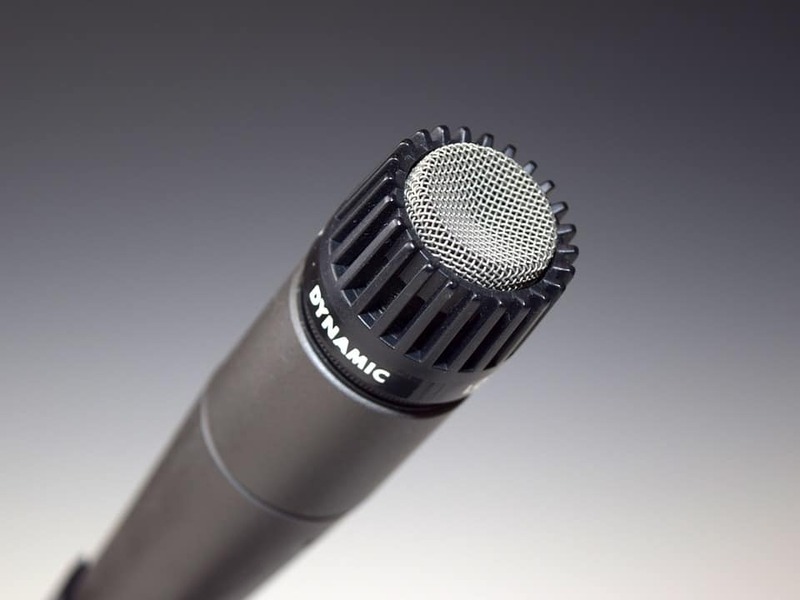 See the study on Dynamic vs Condensers mics. 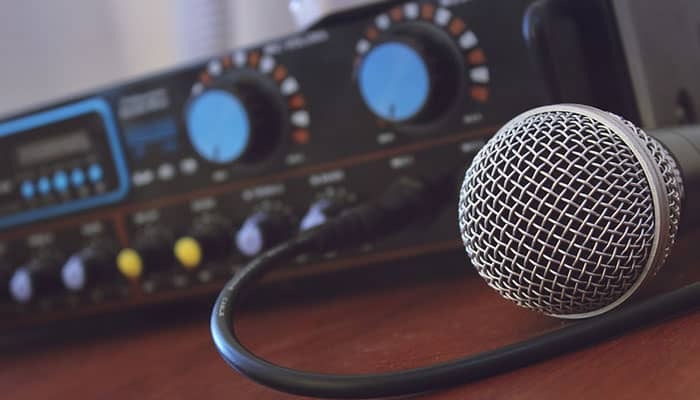 If you are looking to start a podcast and are searching for a suitable mic, you will be glad to hear that these kinds of mics are the best for that purpose! Especially if you are not in a fully sound-proof environment and have to record in a relatively noisy room. These mics will effectively cancel out any background noises and focus on your voice and on your voice only, taking it in as the only sound source, which makes for one of the best options for a podcasting mic. A great example of what you can use a Dynamic Mic can be found in this study. You do not need phantom power for this kind of mic, no. Usually, the misconception is that phantom power can actually damage it! Many instruction manuals warn against using the two together, however, if you have a dynamic mic in your hands that has been made in the past 30 years you should be fine if you don’t leave it exposed to phantom power for too long. Commonly phantom power is best used with condenser mics. To find out exactly how the condenser mic works - click here. Our Top Choice spot has to go to the Audio-Technica dynamic microphone, simply because it has a price that is neither overpriced nor underpriced and it is truly one of the best sound-wise. It is right in the middle of both worlds, and we think that’s a good thing! Especially since for the quality you get from the microphone, you could easily price this dynamic microphone much higher; it, however, remains at its good price and doesn’t cease to impress with its sound and durability. It connects to your computer to encourage digital recordings and has a smooth frequency response, isolating any background noise. The cardioid pattern helps to reduce all the sounds that may be lingering around you, even within a noisy room, you will be surprised as to how well the ATR2100 can focus on one source of the sound and keep to it without any trouble. When it comes to reducing unwanted noises, Audio-Technica’s mic is one of the best in that area. Thanks to all of the key features that a dynamic mic should include, the ATR2100 makes its way as our Top Choice product thanks to two aspects that make it one of the best products on the market:the perfect price and quality craftsmanship! Although this is the most expensive dynamic microphone that we have on our list, there is no other way than to have it take the Premium Choice spot! If you regularly scout for good deals, most often of times you will be able to get this dynamic mic by Shure at least 20% off. The robust construction of this mic ensures that you will be able to keep it within your arsenal of music gear for a long time; it has fantastic cartridge protection and you will be able to rely on this product for years to come without being disappointed by its durability- Shure is known to have some of the best mics when it comes to endurance and resilience to wear and tear. This is also a dynamic mic that unlike many other mics rejects any electromagnetic hums that could come from your computer, phone or other electronic devices that could interrupt the output. Our Premium Choice spot simply has to be a product from Shure; this product has some of the best craftsmanship and the performance of this dynamic microphone cannot be easily rivaled! Our Great Value spot has to go to none other than one of Pyle’s best dynamic mics. You cannot get a better deal on the market; it is truly the most inexpensive mic out there and will allow you to still perform with great accuracy. It also produces quality sounds despite being cheaper than our other alternatives. It has no problem picking up either vocals, instruments or amplified sounds. It will reproduce the sound without any interference from other noises that could be lurking on the sides or in the background. The integrated wind and pop filter allow you to have a worry-free experience with this mic, since you will not have to worry about the pops and clicks you could record during your vocal practices if you weren’t shielding your mic from your plosives. This seemingly simple feature makes Pyle one of the best contestants on the market. Pyle’s mic earns our Great Value spot simply because it’s the most efficient and inexpensive mic out there that also provides you with great and faithful sound reproduction! You can better understand microphones here.